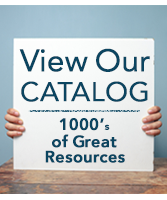 IEPs & CCSS: Specially Designed Instructional Strategies - National Professional Resources, Inc.
"IEPs and CCSS is an invaluable resource for ALL teachers, both general education and special education. Toby’s ability to flesh out the basic accommodations that support learning and mastery of Common Core Standards is represented clearly in the resource. Having worked with Toby in two districts, I’ve come to expect resource-rich publications and links. IEPs and the Common Core State Standards: Specially Designed Instructional Strategies delivers!" The Common Core State Standards, which have been adopted in most states in the country, delineate the skills and knowledge that students are expected to possess at each grade level (K-12) in order to be college and career ready (CCR) by the time they graduate high school. They are designed to ensure that ALL American students--including students with disabilities-- receive a high quality education that positions them for lifelong success. In IEPs & CCSS: Specially Designed Instructional Strategies, author Toby Karten presents a variety of specially designed instructional strategies and interventions that teachers and IEP team members can use to connect the individual education programs (IEPs) of students with disabilities to the Common Core State Standards (CCSS). This six-page (tri-fold) laminated guide offers a side-by-side outline of the required components of an IEP and the criteria for instruction according to the CCSS. Karten explains that when developing a student's IEP, the IEP team should include both individualized goals (the behaviors/skills/tasks the student is expected to learn) and the grade level standards of the CCSS. Five scenarios are provided to demonstrate a variety of ways instruction can be individualized for students with specific classifications, strengths and interests. The guide also outlines a step-by-step approach for helping students with IEPs achieve the standards. Additional online and print resources are also included, making this guide a valuable quick reference tool for IEP team members.